The cady maxidress is a staple piece for your evening wardrobe. 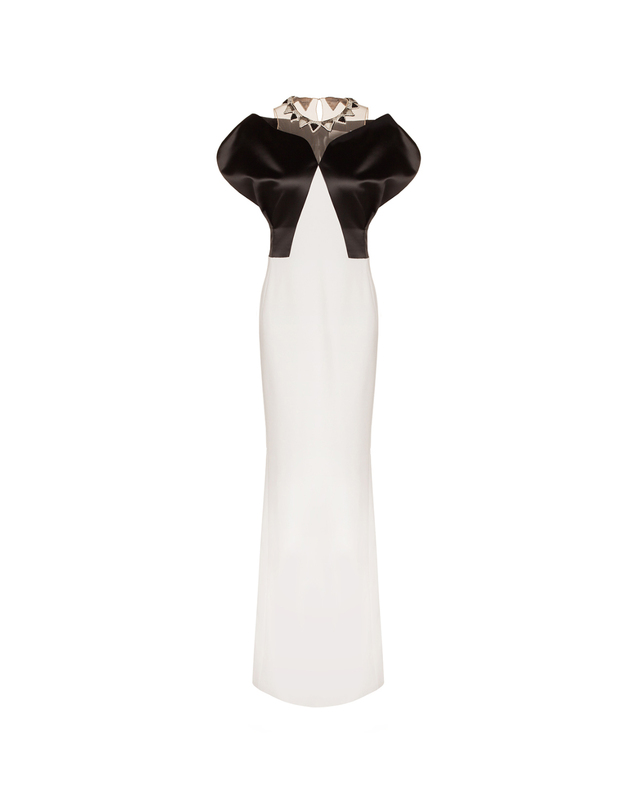 The form-fitting cut and juxtaposition of shiny and opaque fabrics create an original piece. 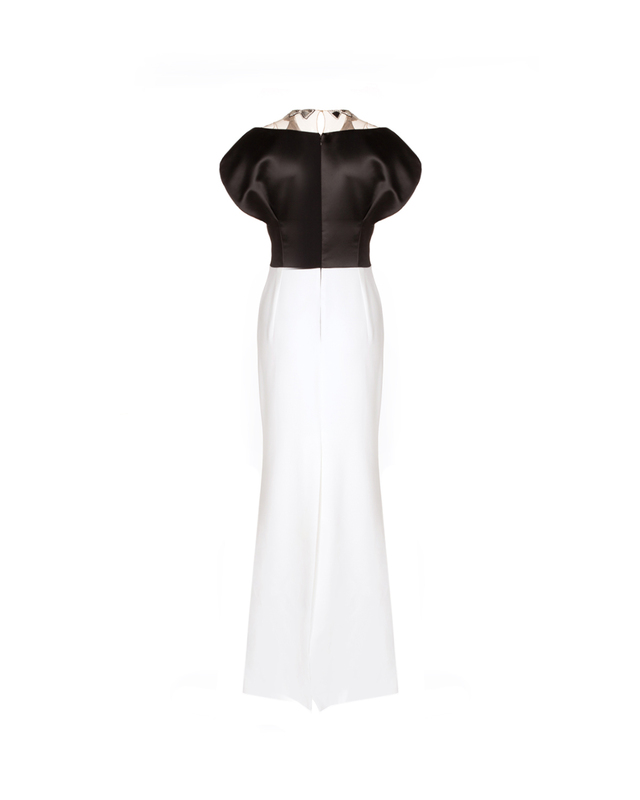 The short puff sleeves let the shoulders peek through for a sensuous silhouette to be accentuated with stiletto heels.